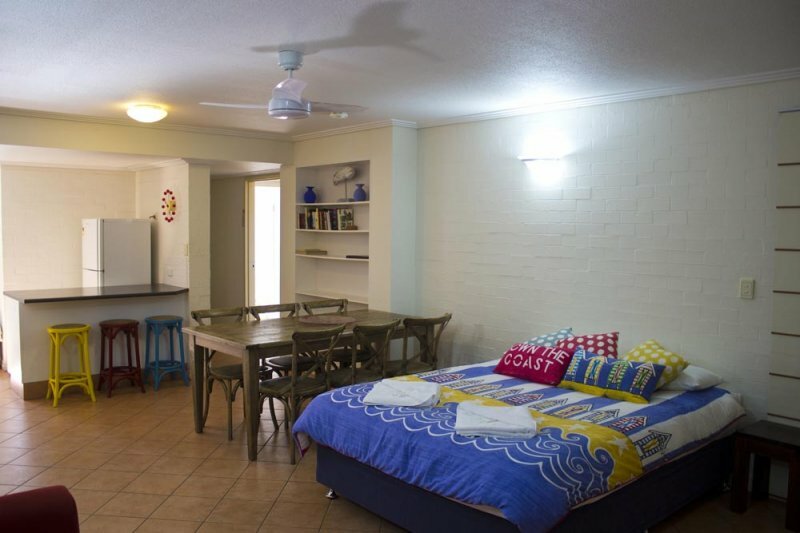 Offering an open plan, our Studio Apartments are comfortably appointed to cater to singles or couples. Reverse cycle air conditioning, ceiling fans and Full Kitchens, most equipped with dishwashers, Queen size beds. Offering a separate bathroom with a walk-in shower. 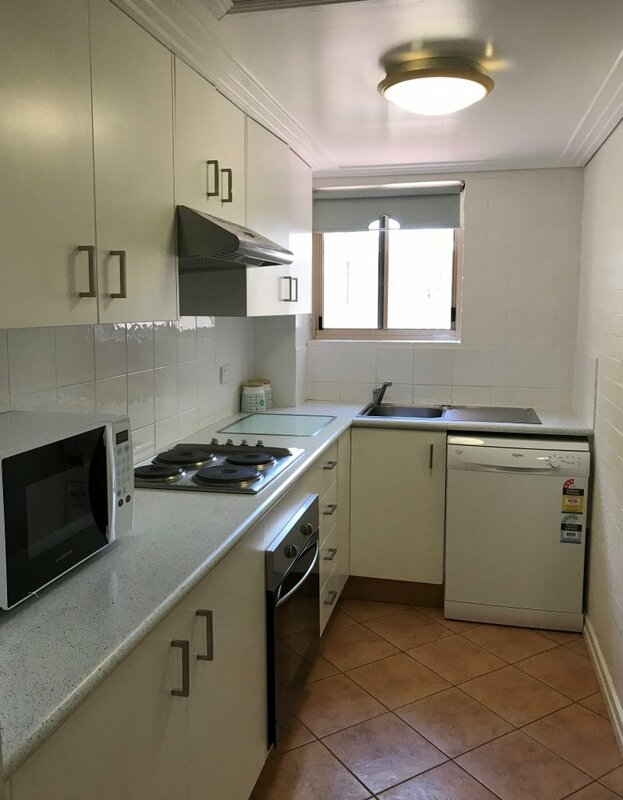 Laundry facilities available just outside the studio and are shared with adjoining 2-bedroom Motel unit. 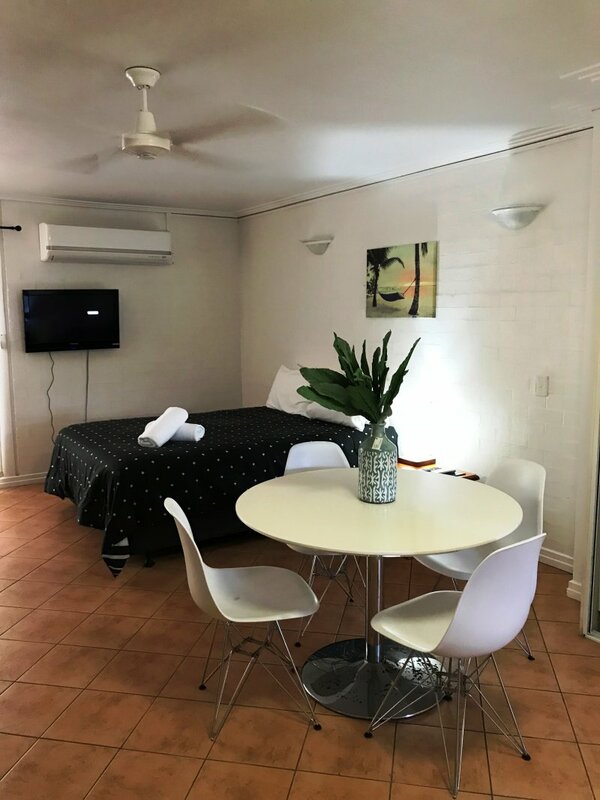 Each studio apartment has been individually styled and offer all the comforts required for an overnight to extended stay visit. 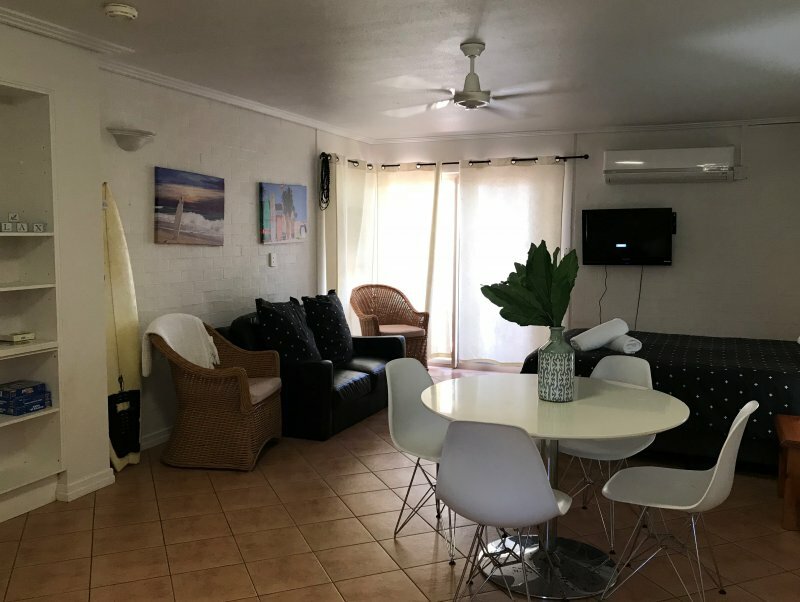 With 9 Studio Apartments in the Resort located on either the Ground Floor with direct access to the pool and Beach or on an upper level offering partial views of the Ocean to Kelly’s Beach.